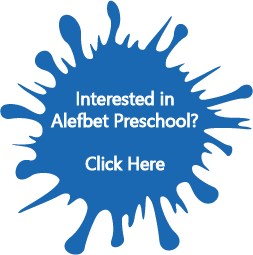 We are so happy you are planning on registering your child(ren) in the Alefbet Preschool! Fill out the registration form by using our easier version – Click Here -download, fill in, print and return with payment. Fill out the ALEFBET BABIES Registration Form by using our easier version – Click Here – download, fill in, print and return with payment. We will then need the following mandatory Enrollment forms to complete your child(ren’s) file: Click Here – download, fill in, print and return to the Alefbet Office. Once we receive your completed Registration forms (and fees), and have confirmed this information with you, your child is enrolled. Welcome!